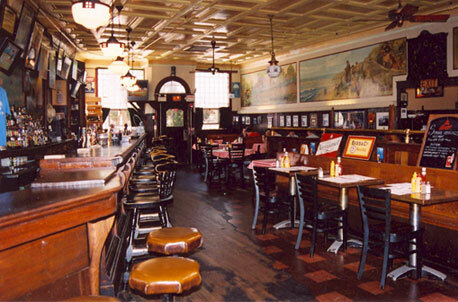 Doyle’s is a classic, one of those ‘let me show you this place’ joints you like to bring out of town ‘holics to. Did you know they had live music in the ’70’s? Mostly blues, rockabilly. And I believe they were the first local gin mill to have an extensive collection of single malt Scotch, back in the early 80’s. The food is good there, especially the steak tips, which are a staple at inner city Irish places like this; Doyle’s serves one of the best. Brunch is really good, too. In a world where we’re surrounded by faux this and fake that, it’s nice to still have the real thing around. Jeez, Josey, I figured I’d be asking *you* about cool joints in JP! I realize my post makes it sound like everything’s on Washington St. Wrong — I’ll fix that. When I say “newer” I don’t necessarily mean brand-new — just more recent than 1882, when Doyle’s opened. The Alchemist, Zon’s and the Milky Way are all a stone’s throw from one another. There’s also VeeVee, the new bistro on Centre St. And, of course, nearby Doyle’s is the Midway. Doyle’s and the Midway apparently had some disagreements a few years back: http://www.bostonmagazine.com/articles/the_battle_of_midway_1/ Hopefully, they’ve patched things up. Cleve, what would I do without you to provide the modern history of all the bars I write about? This is not a test; I’m genuinely interested: what are these “JP’s newer, hipper drinking establishments”? Let’s not forget the fabulously named Drinking Fountain (uh..not a ‘newer, hipper, joint by any stretch), down the street a block or so from Doyle’s and the Midway. 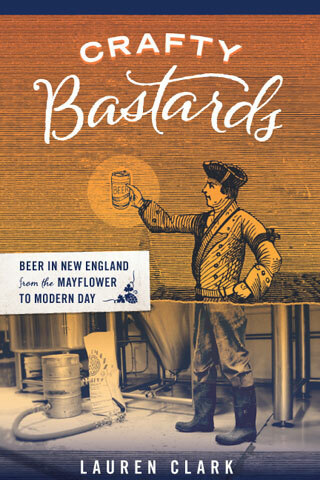 For years it was one of those places where you’d most likely get, in the local parlance, “a beer and a beating”, but, similar to what happened at Somerville’s (Sh)abby Lounge, some fearless local hipsters started drinking there, paving the way for more trepidatious folks to check it out. Best appreciated by those who enjoy a *real* dive bar. There are so few left. drinking fountain (which i refer to as luncheonette, but either way) is fine but at all costs avoid the tap beer. really and truly. i’m fairly certain the lines have never, ever been cleaned. older school dive bars populated with locals along washington street also include the white stag tavern (towards egleston from doyles) and the seedy irish place across the street from forest hill T (a few doors down from the dogwood). neither have the cachet that luncheonette has but both should be included on any bar hop down washington. sadly, drinking in JP is best kept to beer and possibly wine (veevee, for instance, has a fine wine list). cocktails haven’t really caught on here yet. Yeah, I know what you mean about the tap lines, K. I had a dirty Tremont Ale at Doyle’s recently. I think I could fill a book with the number of times I have experienced off-flavored beer at bars and restaurants. Cleaning tap lines is not as high a priority as it should be at most bars — even beer bars, which is criminal. Thanks for the JP recommendations.